Thanks to advances in dental technology, you can restore the beauty and function of your smile by replacing missing teeth with dental implants — no matter how many years have gone by! 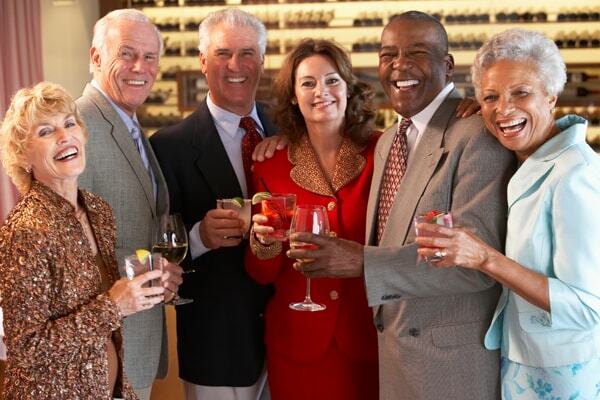 Millions of Adult Americans Are Missing at Least One Tooth. But More Is Involved than Just a Statistic. If you are one of the millions of adults in the US who is missing one, several, or all of your teeth, you may have gone 5 or 20 years covering your smile out of embarrassment. It has likely been a long time since you were able to eat your favorite foods without hindrance. Or perhaps you have been living with dentures and are dissatisfied with the uncomfortable clicking sounds. For these and many other reasons, Dr. Co at Shoreline Dental offers dental implants to restore youthfulness and integrity to your smile! With dental implants, you can finally replace single or several missing teeth. But there is more to dental implants than that.  Our high grade dental implants are made up of 3 parts. Dental implants in Shoreline, WA can replace a single missing tooth or several missing teeth with unique benefits. Unlike dentures, dental implants can last a lifetime with proper hygiene, are stain-resistant, and stronger than natural teeth. Your dental implants become part of your natural smile since they fuse with the jaw bone. Nobody will notice you have a dental implant! Compared to dentures, dental implants provide the greatest advantages when it comes to eating, speaking, and having a holistically healthy smile. How does the implanting procedure work? 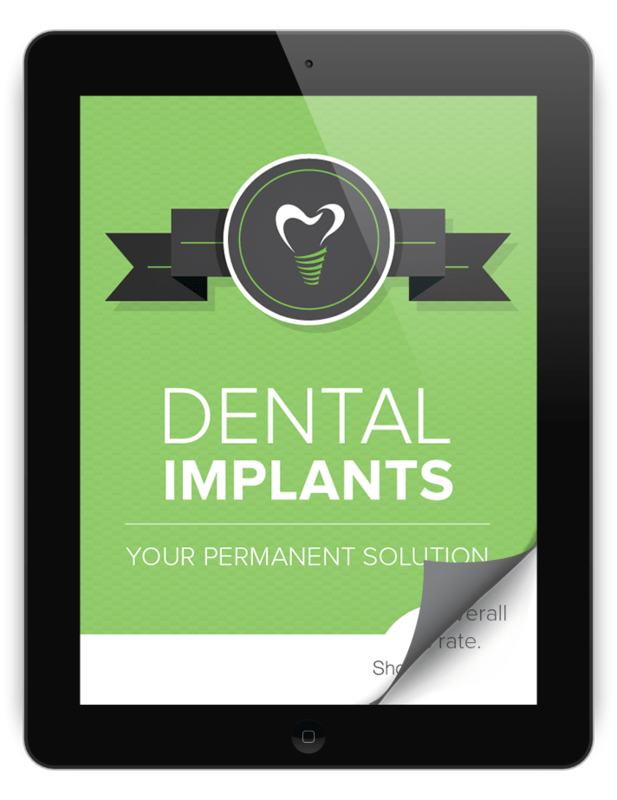 What dental implant types can you choose from? I came to Dr. Co several years ago after having my teeth destroyed by another dentist. Dr. Co and his staff have helped get my mouth/health back on track, took excellent care of my oral health while I was going through cancer treatment and are now helping my son repair his teeth. Best dentist I have EVER had! Are Dental Implants within Your Budget? Dental implants cost a little more than dentures, but really, the price difference pays for itself when you don't have to worry about worsening (and increasingly expensive) dental problems down the line, and when you no longer have to worry about buying glues, cleaners, and other materials for the upkeep of your dentures. Not to mention that patients have never regretted feeling more attractive and alive thanks to their renewed smile. We accept many dental insurance plans and happily assist in verifying coverage, and submitting claims electronically. We accept Visa, MasterCard, debit cards, personal checks, and cash. We also accept CareCredit to help you smile the way you used with simplified flexible monthly payments. 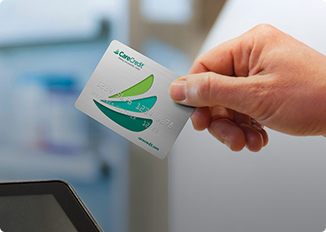 Get started here with CareCredit. Don't see what you're looking for? Give us a call. We are happy to answer your questions.